Armored Optical Fiber Cable - Kaiphone Technology Co., Ltd.
Indoor/Outdoor armored optical fiber cable can be used in the fields of telecommunication, fiber optic sensing, broadcasting and military telecommunication. 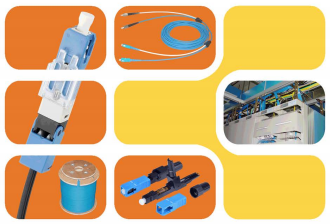 In the field of telecommunication, it can be used in the connection of equipment in the central office and the antenna base station or the application for FTTH (Fiber to the home). In the filed of sensing , it can be used as the temperature or structural sensing material for industrial, electricity, fire, tunnel, bridge, dam… etc. In the field of broadcasting, it can be used for the outdoor broadcasting or indoor and outdoor video connection. In the field of military telecommunication, it can be used for the connection of military telecommunication equipment.